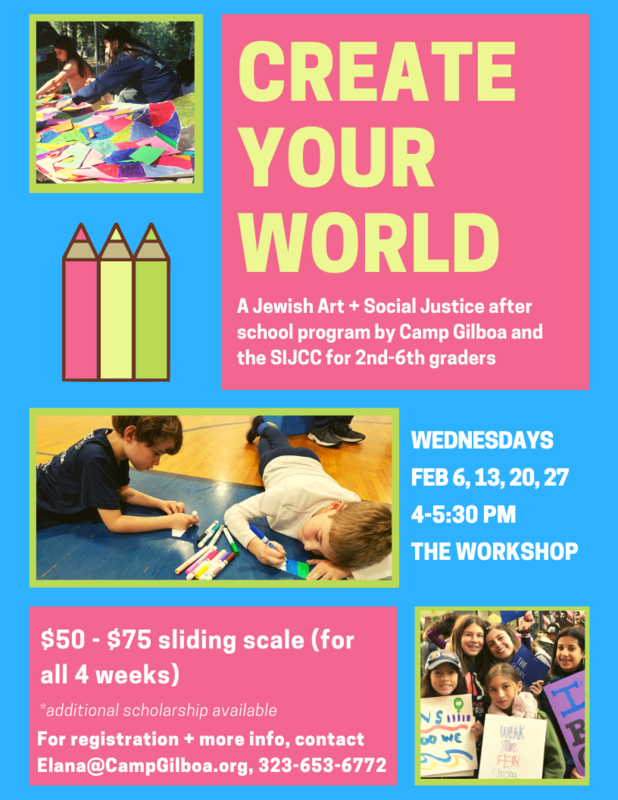 Join this 4 week series of engaging after school workshops exploring Jewish Art + Social Justice, presented by Camp Gilboa and PJ Library, held at the Silverlake Independent JCC! In the Create Your World series, participants learn how they can give voice to their opinions and thoughts through artistic expression. Over 4 weeks, we explore different social justice topics – such as global warming and gender equality – and create art project that bring positive change to our communities. For 2nd – 6th graders.